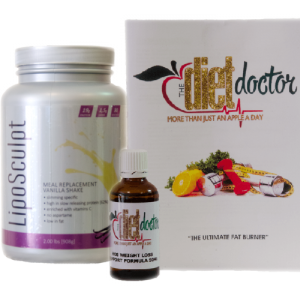 Is the HCG Diet System SA - 800 Calorie Diet Healthy? Home » Blog » HCG » Is the HCG Diet System SA – 800 Calorie Diet Healthy? Is The HCG Diet Protocol Healthy? This is a tough question and I believe it deserves a true honest explanation.I personally certainly don’t want to be on a diet that is harmful or unhealthy, or endorse something that is unhealthy or harmful. Just yesterday a new client of mine came to see me as she has been struggling to lose weight after the birth of her second child almost 2 years ago. She was very depressed because she has been exercising flat out, watcjing what she eats but to no avail. This was why she was interested in using the HCG and following the 800 Calorie Diet. However she is married to a gentleman that is pretty health conscious, owns a Gym and is a fitness fanatic. He was not too happy with her decision to try the HCG and voiced this exact concern about an 800 calorie diet being healthy. He would be right…..in almost any other circumstances, if someone was only consuming 800 calories per day. When HCG is present in the body, male and females, the body is able to tap into its stored fat and utilise it. When combined with an 800 calorie per day restricted diet, the person gets the calories they need from their stored fat, instead of the food they ingest. They burn between 2500 – 3000 calories of stored fat daily and this gives them the energy and fuel needed per day. This is the reason that the fat loss is so phenomenal and why most people do not feel hungry and YES following an 800 calorie per day diet whilst using the HCG is definitely healthy. I hope you have found this information helpful and that it now makes sense to you why this is a healthy way to lose weight quickly.